Stunning new home being built by Patrick O&apos;Donnell in River Club! Amazing water views of 16th & 17th hole that are unbelievable! Walking distance to the lodge for dining & golf shop! Home features open, elegant & comfortable living. 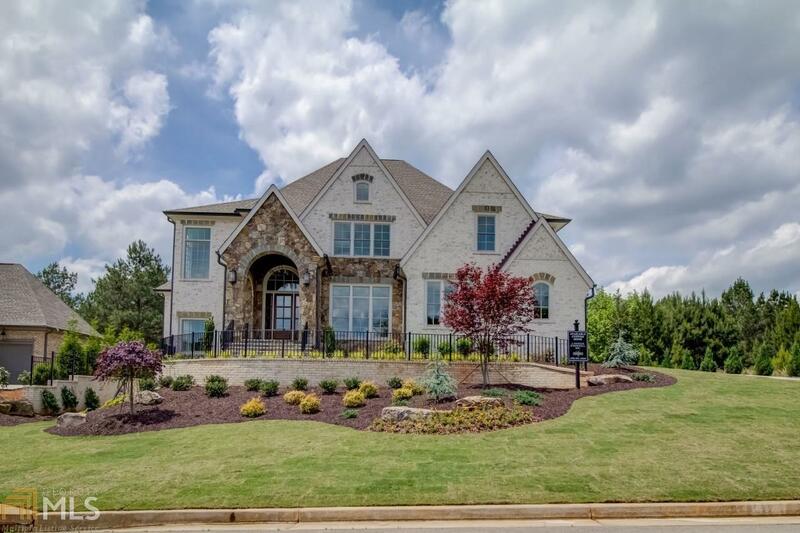 Main floor boast formal LR/Office/formal Dining Room open to fireside beamed family room. Panoramic disappearing doors in family room makes outdoor fireside living seamless. Kitchen equipped with finest appliances to include wolf cooking range, paneled dishwasher, beverage chiller, etc. Designer countertops & finishes thruout! 4 ensuite bedrooms up. Directions: From 285 Go North On Peachtree Industrial Blvd To Moore Road. Turn Left. Go Approximately 1 Mile And The River Club Will Be On The Left. R On Whitestone. Left On Middle Fork. L On Crescent River Pass. R On Hanalei Hollow. Home On Left In Cul De Sac.